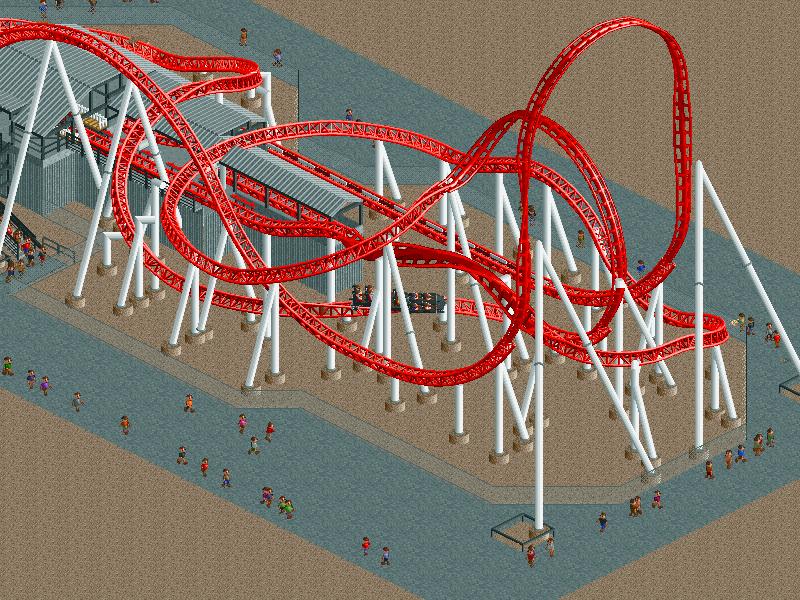 I've now finished my Intamin LSM launch coaster (sometimes referred to as blitzcoaster) trains, and uploaded them here. These are the type seen on rides like Maverick, iSpeed, Nefeskesen. They also appear to be used on Intamin's vertical lift coaster (of which the only example is Fahrenheit). These aren't accelerator or looping coaster trains, though they do look quite similar at this scale. There are lots of variants of this train - a lot of the newer ones have lap bars in place of the OTSRs, and many of those that had these OTSRs have been retrofitted with alternative softer versions, so no coaster actually runs this exact train anymore. In addition, many of the trains have additional theming, and Taron's is completely custom. This is the first train I've done for which you have to use a hack to have a realistic layout - it either needs a hacked launch, or a hacked vertical lift. Anything else probably wouldn't be running this train, at least as far as I can tell. 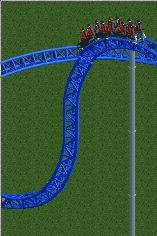 I am hoping that OpenRCT2 will at some point in the future add proper launch and inversion pieces, but the former would require a new file format. That looks like a ride with lots of possibilities, great work! @X7123M3-256, you are absolutely fricken amazing!!!! 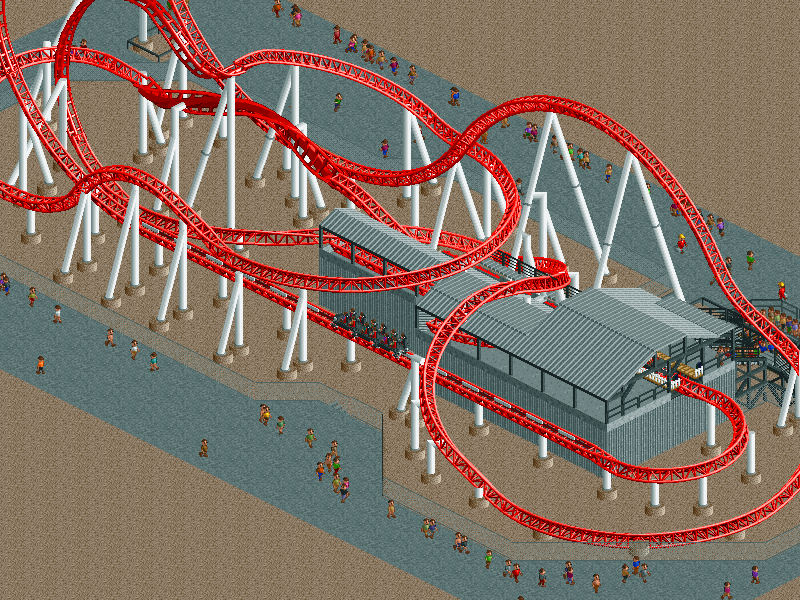 You have created coasters, top notch coasters, that I have dreamt for a long time to be in RCT2. I never ever thought it would happen. Here you are, proving me wrong. Effen fantastic work mate! I'll always be a downloader of your trusty rides! What did you merge the giga to get the launch? Your Intamin LSM still needs the launch hack I presume? The top hat and immelman are merged to LIM launched coaster track, and the final heartline roll is twister track. I hope to replace those pieces with actual track sections at some point, but for now, it's merged. I have now uploaded the source files for some of my custom trains here The older ones aren't included because they will take some updating to make work with the current version of the code. They might be useful if you want to make themed versions of the trains, to use as a base for a new train, or if you want to import them into another game (although they are not textured and not nearly detailed enough for something like NoLimits). 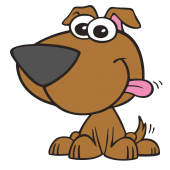 Unfortunately, there's no easy way to update the models in the JSON file, you basically have to generate a new JSON file and copy and paste the relevant parts into the old one. I really want a better way of doing this but the current architecture of my tool makes it tricky (I store pointers to the models which will be invalidated if they are changed). Some of the rides have two sets of restraints; one made to match the real ride as closely as possible, and one adjusted to fit the RCT2 peeps. In this case, the one that was actually used is on the front car and the more realistic one is placed on the second car. The models are not necessarily identical to the ones from which the rides were originally rendered - particularly, the wing coaster suffered badly because I didn't know how to make sharp edges in Blender, but I do now so I fixed that. The JSON files that are supplied have not been updated in this manner though, they are the actual files from which the ride was rendered, with original models. That's mostly because updating them is time-consuming; it's something I might do another time. I now have a more systematic method of obtaining the shape of the track piece, by computing the inverse projection, but I do not yet have the capacity to handle track pieces which are split into more than one map element. This looks amazing. Maybe you could find a way to generate the shading based on the direction the light is coming from and how it is reflected off of track pieces? Isn't the deafualt object lighting inconsistent depending on the angle? Yeah, I tried this with terrain tiles. I can get the numbers to match, but bring it into the game and it just looks wrong - the texture is off.. Looking carefully at the differences between the two, I notice that my renderer is using two colors almost exclusively, while the default sprites have edges that look softer, like they're anti-aliased. I guess that's the next thing to try. Lighting is always from the right of the screen. All sprites are lit from that same angle, but working out exactly which angle that is has thus far proved tricky. There are some CS objects that are lit from the left. Those objects are wrong. Some more incremental improvements - anti-aliasing was a big improvement (though it had the side effect of making my renderer painfully slow). Specular shading is not so promising. Adjustments to the geometry seem to have fixed most of the misalignment and glitching (though I've just noticed one of the track pieces is backwards). The lighting is still proving difficult - I can get it to look almost perfect from one angle but then it's completely wrong from the others. Well, I think I'm going to have to give up with this for now. The default shading defies all reason and mine is never going to match. All I can hope to do is create entirely new tracks, but as that's not supported yet I see little point in pursuing this further until there is a new file format. It's a bit of a mess, because I just took the RMC track and swapped the model without adjusting any of the other parameters. I have not yet found out where you can adjust the elevation of the track above the station platform, which would be needed to do this properly. Nonetheless, it's an interesting experiment. I featured your Intamin LSM launch coaster in my latest youtube video, I don't know if you're interested but thought it'd be fun to let you know. I've had this mod for like one and a half year and only now I find out you actually have vertical tracks! Epic man! Did you upload it somewhere? Or can I get my hands on them anyway? Even with different shading I'd love to have them, they could still work really well with scenery etc. A very late response since I didn't see this post until now, but maybe it will still answer your question. The vertical tracks were never uploaded anywhere. If you really want them, I can upload them (or at least, I can upload something similar - I'm not sure I still have the exact sprites), but please bear in mind that these aren't custom objects - it's a modified version of the game. 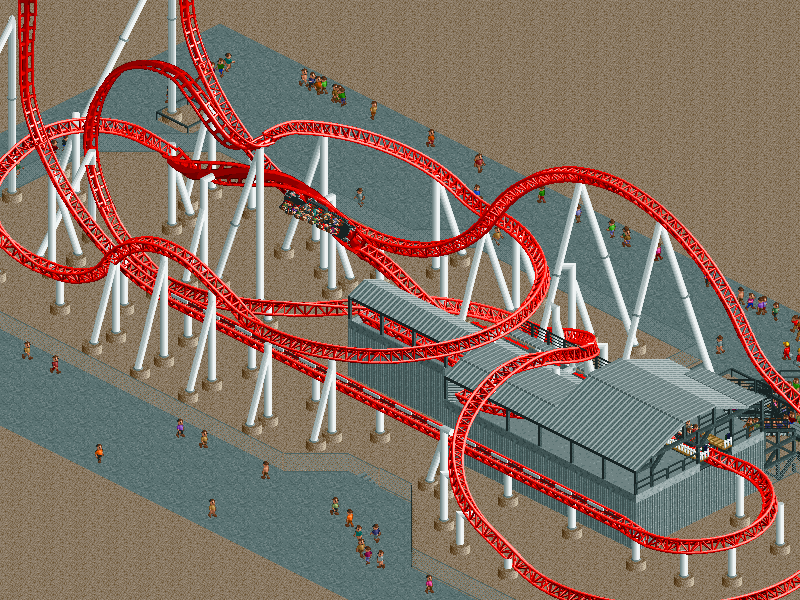 If you open the park with the regular OpenRCT2, the vertical pieces will be invisible. 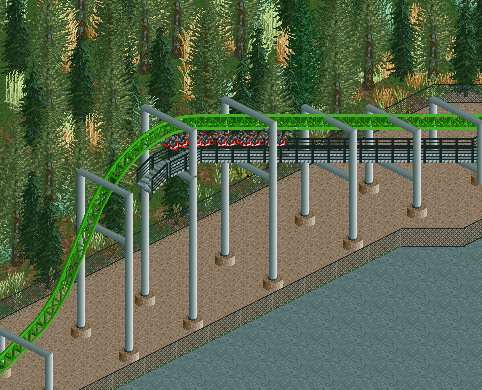 As with my RMC track, this is experimental and isn't really useful unless you don't share your parks with anyone and don't mind playing an outdated, unsupported fork of the game. I'd really like to see these pieces become part of the game at some point, but I'm just not up to the task of creating sprites that look good, so I've decided to concentrate on creating entirely new track types for now. 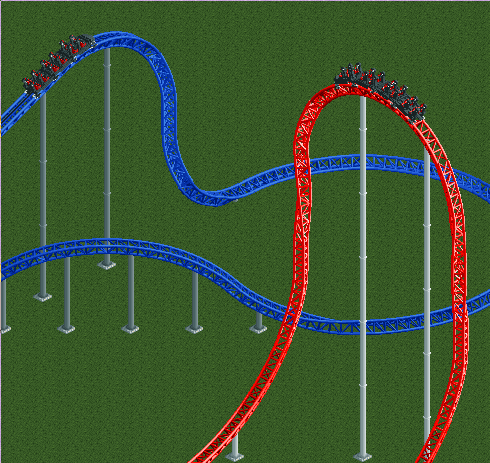 With the new save format it should be able to add new track types and coasters to the game. Are you willing to provide us or the team that content cause you are doing a pretty good job at this so far? 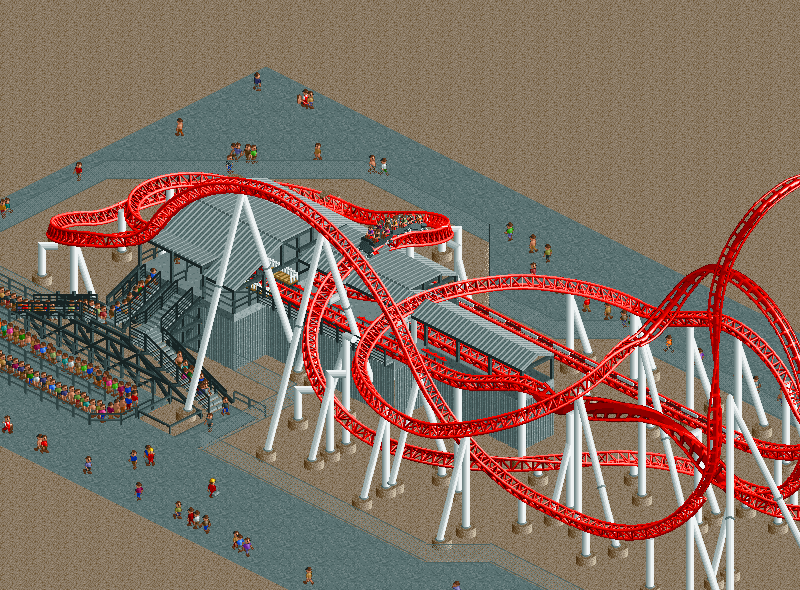 No new save format is required - we can add a limited number of new ride types to game using the existing SV6 format. 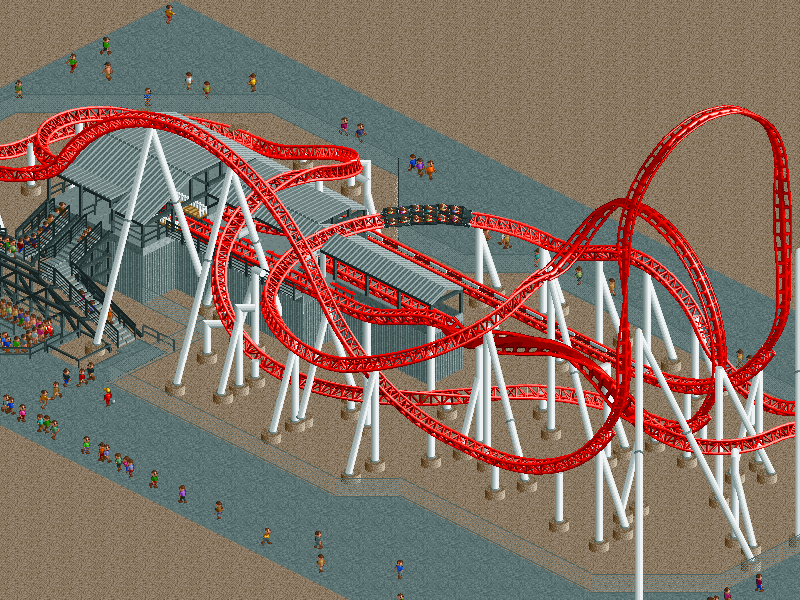 I've been working on this for a while - in particular, I am working on RMC and Intamin track. This is a much easier task than adding pieces to existing track types, because I don't have to match the look of the in game sprites as closely to get an acceptable result. Yes true but with the new save format you can add 'more' rides into the object selection and so on. So it would be much easier to create and add custom content. I'm not sure what you're trying to say. You can already add rides to the object selection - it's in the debug menu. The new save format might add new capabilities for custom objects (right now I really wish we could have quarter-tile large scenery objects), but it's not likely to make creating them any easier. The new object format (which already exists), should make object creation easier because it is based upon standard file formats instead of the custom binary format that RCT2 used. With this new format, it's no longer necessary to use dedicated object creation tools to create objects (though I still prefer to do so). You now have a limit of rides you can select. 128 rides in total I believe. 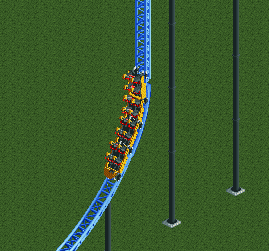 With the new save format you can extend that limit by adding more rides and scenery content so the possibilities with the game are beyond limits. 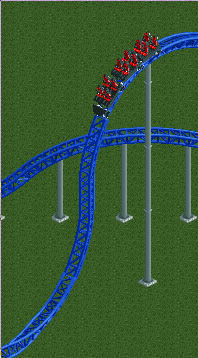 Have you thought of adding S&S and Togo coaster types? 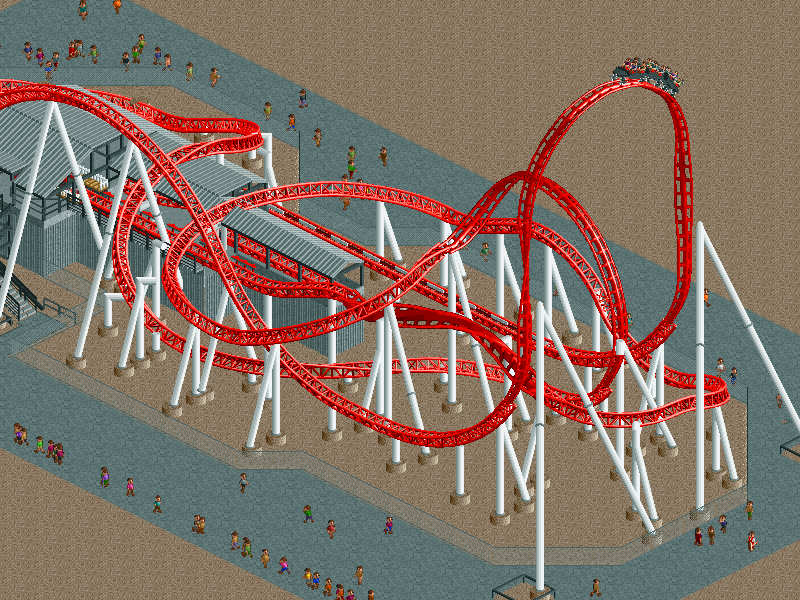 You could combine Looping Coaster and LIM Launch Coaster tracks for S&S and then just add a Togo train type for the Stand-Up Coaster. See this similar question on Reddit. 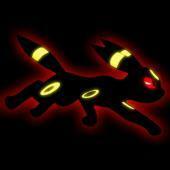 Chances are you don't want the custom track, but here's the link if you really do. I noticed today that one important file isn't included to that repository, so if you actually intend to try and install it I'll have to correct that.